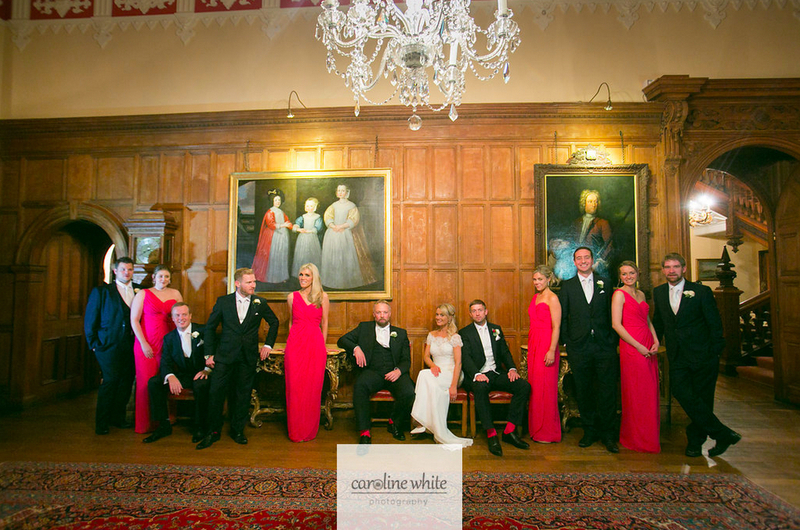 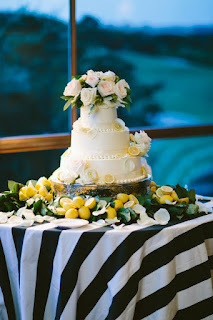 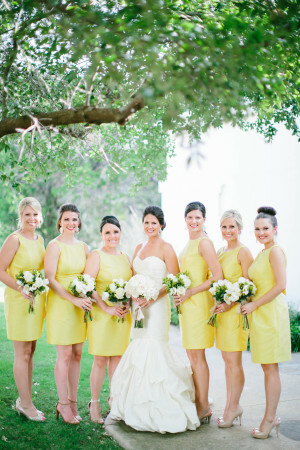 With summer bringing brighter days, we're highlighting some weddings with bold hues! The trend these days is definitely neutrals and soft romantic colors, but bridesmaid dresses can also bring a pop of color that is celebratory and fun. 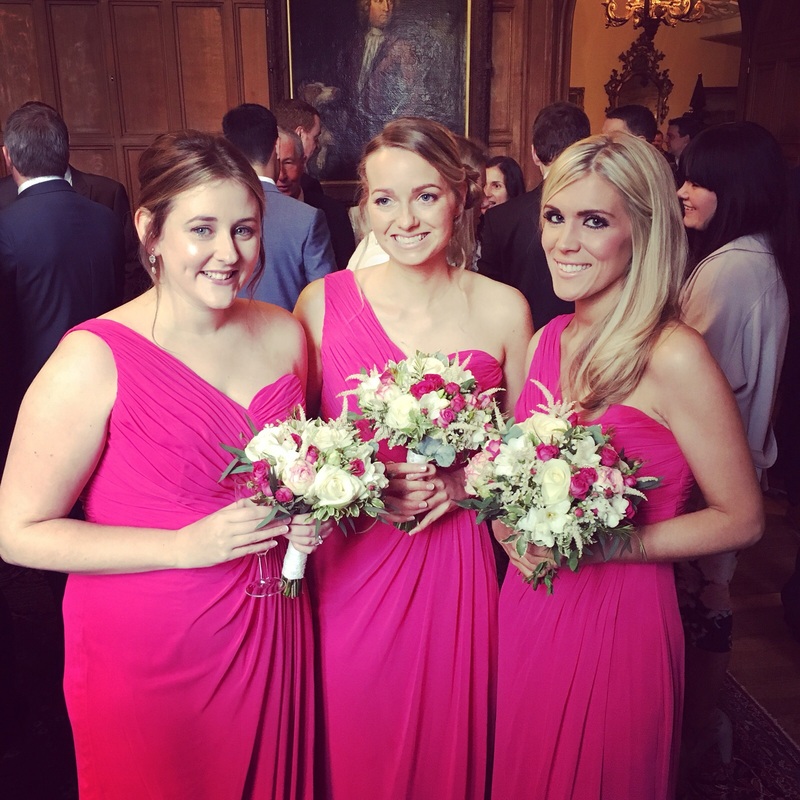 Sophie's bridesmaids are rocking one shoulder dresses, Dessy Collection Style 2905, in the pink color Shocking. 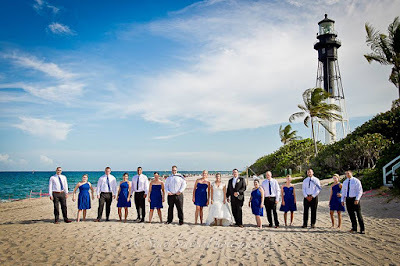 Monica's wedding took place by the oceanside and her bridesmaids wore vibrant blue Indigo dresses by Wtoo. 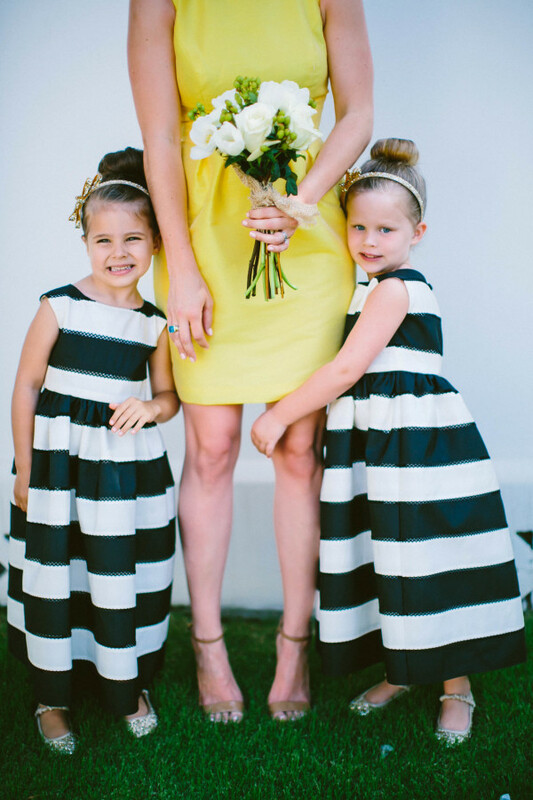 And Emily selected yellow set against an ultra modern black and white backdrop. 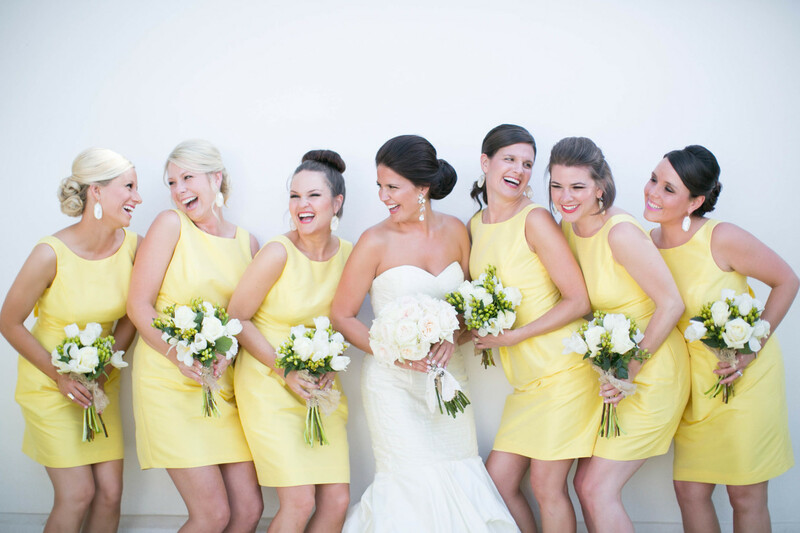 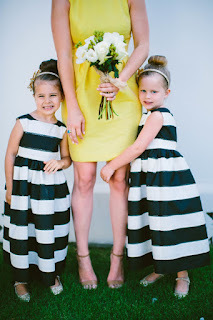 The bridesmaids are wearing Alfred Sung Style D523 in Daffodil. 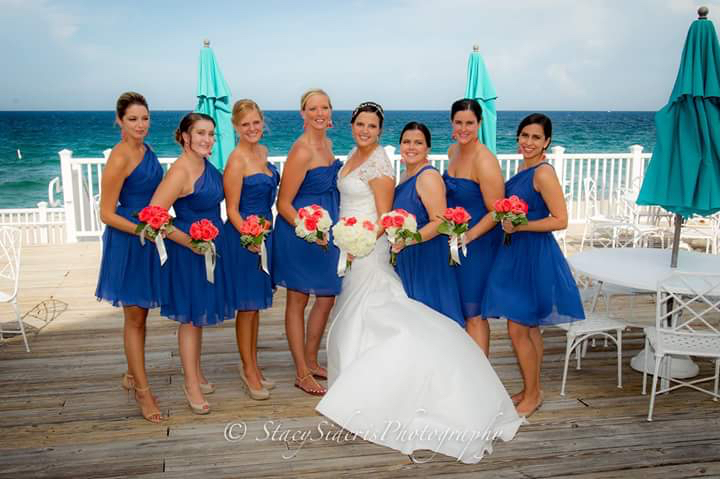 The great thing about our bridesmaid dress designers is that you can choose from their abundant palette of choices year round, and Joielle has swatches available for purchase to help you find the perfect color that fits your fancy!